Although I AM not sure what this means form a technical point, it FEEEELS mighty good to me! Bring "The Event " on!!! I hope this means the event happens end of March as many predict. We are in the final liberation phase and operation Mjolnir should be well underway. Really hoping to see full disclosure! i just asked and you're giving us! thank you so much cobra! i love you! forgive me. i'm sorry. Victory of the light,hopefully the calm before love tsunami!! Agreed, let there be love! For some odd reason - I find this super cool! I have recently read a book "Death's End" that Cobra recommended (have read all 3 books). But this book turned out to be somekind of negative, it had a very depressing atmosphere, and I expected something positive. And so I remembered that I read a book by the Russian writer Sergei Sadov - "Alvander's Crystall." 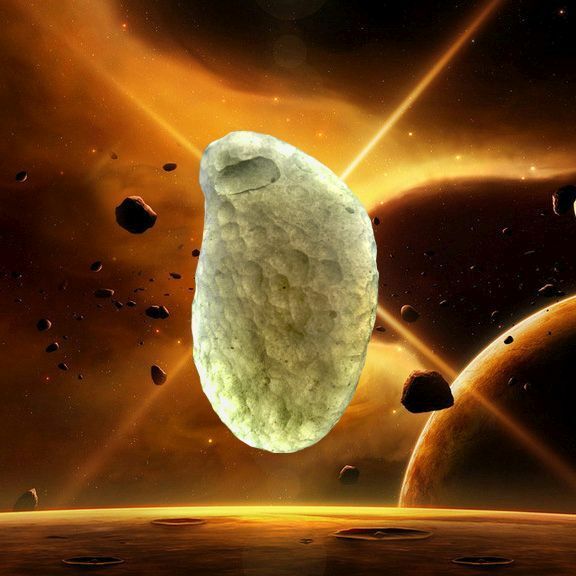 It describes a future earth civilization that lives almost like a pleiadian one! The atmosphere is very kind and positive! There is no detective storyline in the book, no murders and no wars, no criminals! It simply describes the daily life of people in a good future. And it is very interesting. I recommend this book to everyone! "For five thousand years earthlings were locked up by the Highly Developed Cosmic Civilizations in the Barrier in their Solar System. And human civilization, lacking access to the great cosmos, had to develop in the direction of improving one's own mind and body." Trying to find "brothers by reason," people created new races and animals that had previously been encountered only in fairy tales. They have mastered the psi-technology, allowing them to communicate telepatically, control your own body and other objects through thought. Great megalopolises - the ugly product of the 20th century - have disappeared from the face of the planet. And the memory of the lost stars revives the dream of overcoming the Barrier to find the way to the Universe. Alvander, a young master of a relatively new science, from the early childhood fell ill with a "star" disease and since then he devotes all his energy and talent to solving the problem. His ideas invariably entice everyone who has met them. But will the Barrier fall, and WHO will meet people behind it? " ✨✨ Highly recommend! Positive impressions and the knowledge about the life of good civilizations in space is guaranteed to you! P.S. The book is only in Russian, alas :( (but Google translates more or less, I highly recommend you to read this book anyway. I wonder how long this transfer takes. I feel like if I understand this right, z could have been deadly for this guy's mission. Can you please elaborate more? I'll never get used to that "electric" feeling surging throughout my body. It is a joy to experience. The sleep right after is phenomenal. So I'm guessing they have clearance to go even lower into Earths atmosphere instead of just being near low earth orbit? Z→Y looks like a dimension reduction. Since Mjolnir is a multi-dimension tech they are transfering it to lower dimensions? It could be, @Carola & @Dj davy had differing opinions. I liked @Dj davy's explanation the best. Let us hope it is so. Love, love, and love. And so it is. I think this is the beginning of a series - after Z to Y is complete, then it will be from Y to X, then X to W, then W to V and so on, all the way back to the letter A. Yes, it seems this way. But it can also be as @Dj davy described. Let us hope it is the latter. We all share in these struggles. Hold the light strong within you. Just keep going strong, shine brightly so that you may leave a trail for others to follow. Victory of the Light. Victorious glorious Light! Together, we shall drink freely from the fountain of life. It's happening!!!!! Hold on tight!! 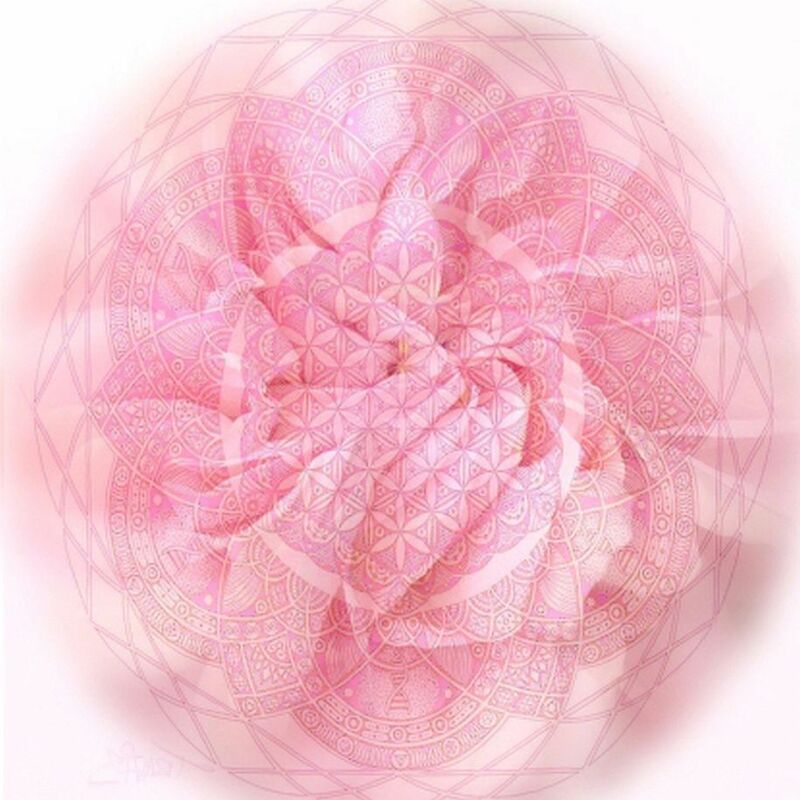 Zero-Point Love emerging in each heart. Let go of all that is falling away, open hands, hearts and minds to what is to come. We are One, we are Love, and Love is All. This sure appears like something major is being done! I thank the GF, RM, Cobra, Agarthans, all LWs, Gaia, all of humanity who are thinking positive not feeding the dark w loosh! Love and Light to All and may the Event happen this month! 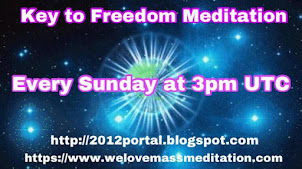 We can manifest so lets manifest it now! I use that site and I find it is a very helpful tool for gathering information. It is good for others to get to benefit from it. Let there be nothing left but Peace & Love soon. 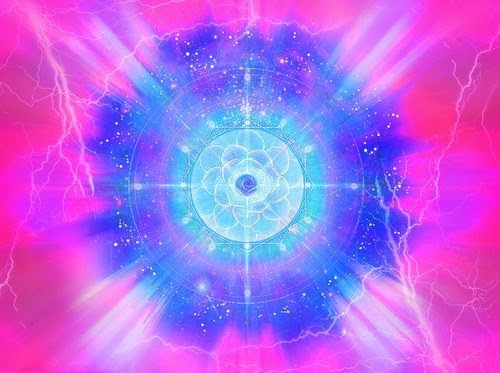 I have been an awakened person for about 6 years now and have not made any forms of contact with ANY awakened person, other than this blogs comments. I am looking to start a group chat on the app GroupMe. I feel as if it will give some of us instant communication and make many of us not feel alone, boosting our confidence levels and, in turn, creating a unified positive energy field. If you’re interested in joining, email me at nicsyukian@gmail.com. I will reply immediately with instructions on how to join the group chat. I cannot imagine 6 years without being able to share in this 3D life with anybody ! I am very lucky a great lady and lightworker happened to "land" in my neighbourhood 3 years ago and all the way from England ! I am not alone anymore but yes, that would be nice if we could reach each other and share. Sending an email to you! This exactly what we need to do. 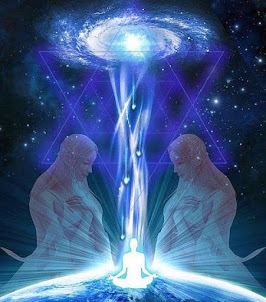 Build communities that will become pillars of the light to support/anchor in the energies of New Atlantis. I can't wait for a new renaissance. A true golden age of creativity & innovation. I agree, this is something truly amazing. It's remarkable that we still haven't had the event yet!! Let it be soon, I can only hope. I don't recall this vector being mentioned before, which means more progress. Friends I believe we will see something happen before 2018 ends, you feel it too don't you. yepeeeeeee. Did you get the hint in Cobra's early 2018 post? "2018 Will Be A Year Of Many Breakthroughs"
Take a close look at the image he posted there :). we goes to full cleanup of Gaia! Urge to us... that know what's going on... prepare our selfs to calm down those around us.... many will lost their own ground... they will need assistance and you can make your light clear... as an example of calm in the storm. I made a meditation song for Command PB Stardust! 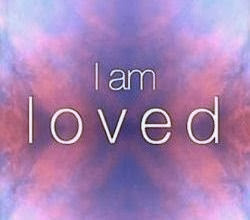 I am happy as never before....thank you, Cobra and thank you to the federation of light and the allience and all lightworkers, who worked actively to make the EVENT true as soon as possible.Victory of light!!!!!! I have to say, you and me have very similar personalities @Keith Varner 😆. Thank you so much. Victory of the LIGHT and LOVE!!! Start the party already, we're all waiting. We're all in attendance. It won't be as mcuh as a shock as you guys think it would be. We, the surface population have been conditioned/programmed/prepared for a scenario just like this for decades. Start the party already!! We're waiting. Yes, i'm talking directly to you Light Forces! I know you're reading :). "When the light from above the surface of the planet and the light from below the surface of the planet meet in the middle, that is, on the surface of the planet. That is the compression breakthrough." Thank you COBRA! 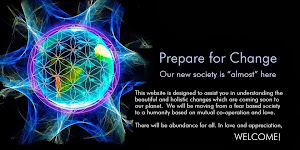 We are ready in Love and Light! Victor of the Light! We are one. We are ready. May Peace be with you also. I feel the party is about to begin! Victory of the Light! Yeah! Bring it on yo! Let's get the party going!! The Great Master of Tampliers in Moldova speaks about the 27th of March, saying it is the beginning of the New Matrix. Deadlines are not always accurate. The concept of time is foreign to the higher realms. One can hope, however!! For hope is all we have and the only thing that can never be taken away from us. Continuing the unveiling and victory is ours and the light. Com Total segurança e Perfeição, VITORIA DA LUZ AGORA! O EVENTO! GRATIDÃO! LUZ E AMOR, PREPARADOS, SOMOS A MUDANÇA, SOMOS A FAMÍLIA HUMANA DA TERRA E GALÁCTICA! Expansão da energia Taquiônica : Amor , milagre e Fraternidade, através das nossas meditações, e a expansão da energia da deusa Isis sobre o Planeta, faz-se necessário. Bênçãos para você, alma leve. Hyperphase, the best phase. Lol. I think of the Event as being a molting process of cyclical, natural occurrence. This Wave is tuned in to Earth's readiness for a growth spurt and regeneration. She needs extra help this time because of the mess we made on the surface. 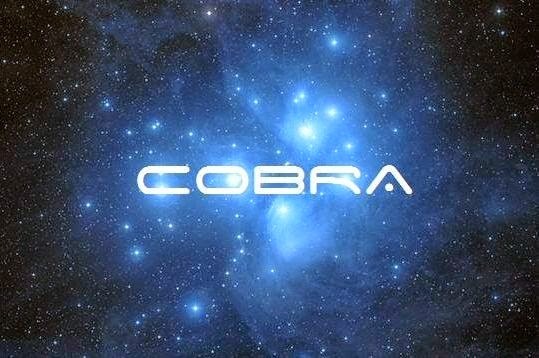 Cobra, is it too early for me to talk like this? Thank you for describing it like this. Yes, I see this as the "Birth Pangs" of Mother Gaia as she births in a new reality. Have you heard about vertical farming? "CCFL (Cold Cathode Fluorescent Lamp) is one of the easiest items to use for computer case modification. Comes in a wide variety of colors and sizes, the cool looking CCFL lights will make your gaming rig look unique and hip!" Many of these kind of CCFL might be used for 'electric lighting construction sets', previous in discussion. but will however resamble the large size units as shape and functionality, for the under discussion esoteric purposes. Beside of these one, there will be also available, in miniature 'construction set' format, for learning and educational purposes, the main used types of outdoor light units. We do not have concerns in farming and plant growth. The only link we have on this subject are the atypical light sources used for this purpose. You know that feeling when you come home ( "Home Sweet Home" ) after a long trip away ? You know that feeling when you see a person you havent seen for years ... and you feel like a piece of your own Heart reassembled back into place ? You know that feeling when you find a small quantum of peace and pure joy within a hurricane of happenings ? You know that feeling when , after brainstorming for days , you unexpectedly find a solution you thought you will never have , as you planned to give up in few minutes ... ? Your dreams become reality , because this reality you are in now is nothing but a dream . Soon I will finish soon . Take me to the central sun. Thank you for summing that up so nicely. Yes, our focus determines our reality. @Silvio Sciasia: I get very angry and depressed when I see people here saying they want to be taken to the central sun. Have you ever killed hundreds, thousands, or millions of people in order to gain or hold onto power? Have you ever enslaved millions of people so that you could feed on their misery and negative energy!? Have you ever eaten a kitten for fun!? If not you're not going to the Galactic Central Sun and you deserve to be healed! Why woud anything going on now have anything to do with the bible? Yep, they helped found the USA and write the constitution. The light forces were in contact with the founding fathers and were the main positive force behind the creation of the USA. Did you know that a lot of the founding fathers were Masons? Just saw orange pulsing light over houses. Without sound- appear from nowhere- was flying in straight line for 10- 15 sec then disapear. Havent seen anything like that over the city lateliy.. maybe someone knows which beings owns orange pulsing light ships? as we merge with higher density, "flexion points" arise where in which elementals and other "lower" more fundamental beings can be seen once again. i get the sense but am in no way certain that that could be a kind of elemental or fairy type. the sort of things you would see while roaming the astral. Definitely sounds like a man-made craft or could be dark fleet. Galactic Federation Craft shine with a pure light. 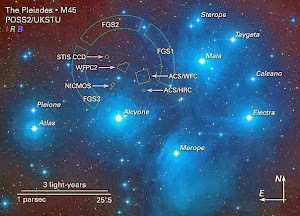 I think Pleiades spaceships have been very active at certain areas.They can project any colors. Just came home from a walk here, and during that walk I felt how I was suddenly being almost "showered" by a strong wave of light and love. I haven't felt this great in a long time now! One of the aircraft cloaking technologies revealed in Spider Man:Homecomig movie. I just wanted to say how strangely blissed out I am feeling after a period of real illness, depression, migraines and extreme fatigue! Something has shifted! While waiting for the events to unfold, let see some eye-candy video - The Star Races - The War of Orion (Teaser) with HDI sound. Based on the January article on Mjolnir, it may be about time for an update! in Japan, big evil conspiracy has revealed. Why AM I being energetically attacked again? I'm more than tired of this. Me to...at this precisely time...psiquic atacks ...atacking my heart is bitting a lot. I feel the presences...but i WILL FIGHT UNTIL THE END. THE VICTORY IS OF THE LIGHT ! I mean these attacks have been going on for years now. I fully support liberation, but this is very difficult. I fully understand the general population is not capable of doing this.We as lightworkers/warriors must be the strongest and the bravest of coming here and doing this. Six to eight days of opening indictments, and apprehending these scoundrels!! Research from Q re. Hitler. Solomon Rothschild is the father of his father. His father (Alois) was the illegitimate offspring of Solomon Rothschild and Rothschild's mistress. Interesting, yes? And Angela Merkel is the offspring of Hitler's frozen sperm and Eva Braun's twin sister (artificially inseminated, born April 20, 1954), adopted into a family. (darn it, can't find the link to this one). Q posted a lot on March 10, including information that links the Vatican to the Nazis. In the map, above, click on the blue underlined number to take you to the location on 8chan where the Q item is discussed. (The research that explains Angela Merkel's origin is in March 10 8chan research and discussion). Sounds like they're taking the hyperbolic approach. I saw this video on Facebook. Is it possible that it is a battle of the Forces of Light in the Medium Earth? I have seen twice 4-5 years ago over Vilnius, Lithuania. It was midnight, summer time. If anybody feels left out, or if you are new you can follow Q-anon, Benjamin Fulford, David Wilcock & Corey Goode, etc... these are just a few names to start in order to stay updated on all of the geopolitical on-goings. You can find links to their sites on the desktop version homepage of this blog, on the right-hand side. Some links may not work, so try googling instead. Again, these are just a few examples but useful for getting started. These are all very useful tools to help you gather and cross-reference infromation to further validate and account for accuracy. Benjamin Fulford posts a new article every monday. Cobra has validated some of Corey Goode's calims. Q-anon posts almost every day, you can reach him on 4chan. He'll usually reply too. David Wilcock is an award-winning best-selling author from the New York's Times. You can read some of his books and gain so much insightful information from them! Also, an absolute must-read to get you started. I highly recommend reading the Law of One books. They go REALLY in-depth and explain quite a lot. They will make your awakening, much, much easier. A few days ago, I discovered somebody who goes by the name of Alaje. He is German I think but all his videos are in English and many subtitled in many languages.When I started to listen to the first video (he doesn't show his face), I had an incredible feeling of Love coming to me, something really soothing and beautiful was invading me , felt like something coming from out of this world. He has a youtube channel and that's it. If you go check it out, can you please tell what you felt? You possess much wisdom Adonal. You replied to 57 comments, lol dear god. Nice list btw. You can also add http://operationdisclosure.blogspot.nl/ to the list. Although, as with all the bringers of news, each has but a grain of truth. All one has to do is look at the overlapping portions of info from each site to get an idea of what is really happening. In addition to the above I would also recommend looking into Mike Quinsey, Hauila Pele, and Sheldon Nidle's material. They have been talking about "the event," the global reset, and UFO disclosure for 20+ years. The event is supposed to happen this year, hopefully end of this month! We are in the final liberation phase! THE LIGHT HAS WON !!! Prescients come together for the New Cosmic phase of Hue-manity. Stepchildren are embraced into the Galactic family. Thank you, Cobra! Love and thanks to all who hold intention and work for Victory of the Light! Gaia Portal has a beautiful New update today! "Prescients come together for the New Cosmic phase of Hue-manity. The Light has won. " Hold the Light ... BE the Light ! You have outdone yourself with all these replies to everyone. Lovely. So... APDM ended March 8 (Thursday, just a couple of days ago) so we are through this period of very positive planetary alignment. Probably the Light Forces took advantage of the planetary energy with Operation Mojlnir (the spelling of this is probably wrong). Those are some great links you listed, some of which I explore on a regular basis... I also enjoy KP/ Kauilapele’s blog on WordPress, love his energy! “TZ” has compiled a massive, comprehensive treasure trove of information about the planetary situation and the coming Event...info/intel mirroring (and approved by) Cobra. Newcomers can find detailed history of the Light and Dark forces, and background info on many topics related to the Event and our liberation, via past intel posts by Cobra, as well as channelled messages by Archangel Michael (through Linda Dillon), Saint Germaine, etc. She can also be found on Facebook. Much Love, Light, Peace and Joy to you! @A Light Sharer: Thank you for your joy and exuberance to post replies to practically EVERY post on this blog. You positive energy and involvement is appreciated. I would also like to say, in kindness, that just as an exclamation point (!) in grammar provides emphasis and power when used sparingly (not in sentence after sentence, for then it loses its significance), you may reconsider that posts one after the other after the other can lose their intended positive purpose as well. You are certainly free to post as often as you wish, this is my opinion to take a more balanced approach "when" to post. In other words, for me, after scrolling back to read others' posts, I must scroll through your posts on practically EVERY one. Perhaps this was only a one-time day of exuberance for you. LOL. Thank you for your consideration. That's great in moderation. Yet, dozens of posts like that seem to be overly repetitive. Thanks for your devotion to The Event and Victory of the Light. 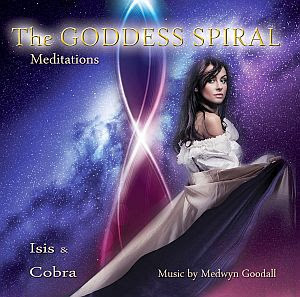 I strongly recommend listen to ISIS & COBRA GODESS MEDITATION. is the only thing that stopped the psiquic atacks and maganetic weapons- impregnates the atmosphere with a healing energy ...a few minutes after the atacks decrease in intensity until they stop. Celebrations begin... The Light has won. There was too much classified intel about Event operations flying on the internet until now. The hostage situation on the surface is simply too delicate and there will be complete intel radio silence (EMCON) about surface operations from now on. 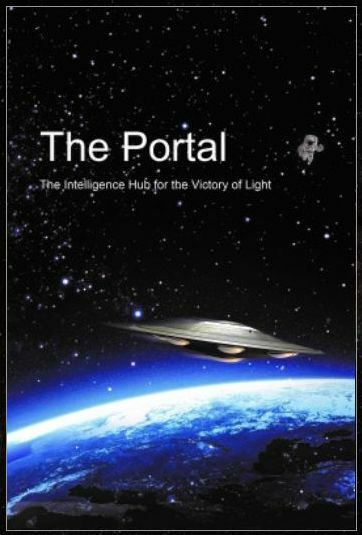 There will be a lot of speculation but no real intel about the surface operations will be released by the Light forces. Mass arrests of the Cabal may, or may not happen. You will be informed about the Event operations in real time as they happen, through the mass media. The Light forces can not release much intel about surface operations to anybody without compromising the operations themselves. The Light forces have warned that in the absence of substantial intel, there will be a lot of banana intel circulating on internet. Thus much discernment is advised. Also, the Light forces are discouraging speculation about when the Event will happen. SICK, SICK, SICK, I cannot put into words, this is unbelievably horrific, this has to STOP NOW! What can we do as Light workers to stop this? There must be something.....My soul is pouring tears....Poor children....how can these people still be walking around? The Event Is Coming... SOON. All 18,500+ sealed indictments are rumored to be unsealed today. The emergency broadcast system will be used to override any Cabal interruption and fear-mongering by the mainstream media. The entire country will be shut down and isolated for a nationwide "house cleaning" event. The stock market will plummet on the same day. Once it's over, military and Republic personnel will step into office to announce the gold-standard and NESARA. Cobra could you please tell us what is the minimum range of these direct energy weapons ? Things will reach the masses and they will be lost... they will need help to understand FIRST that's all ok! May we will face all type of reactions... So will be the time to show your light and knowledge. Many will come and say... "You was right! I'm sorry!" And now we need to rescue the rest of humanity to the truth. PS... Its funny when the looser cryes to negotiate when they see their lost... Yaldabaoth - ask to negotiate now... light has denied. See you on the new golden earth! !